There are smiles all round at Nu-Heat today, as we have just been presented with a top national customer service award! We are proud to be the only heating supplier to be recognised in this way, and are delighted that our commitment to customer service has been recognised on both a regional and national level in less than a month! ServiceMark success – with Distinction! We were presented with our national customer service award by the Institute of Customer Service (ICS) – the UK’s leading independent, professional membership body for customer service. 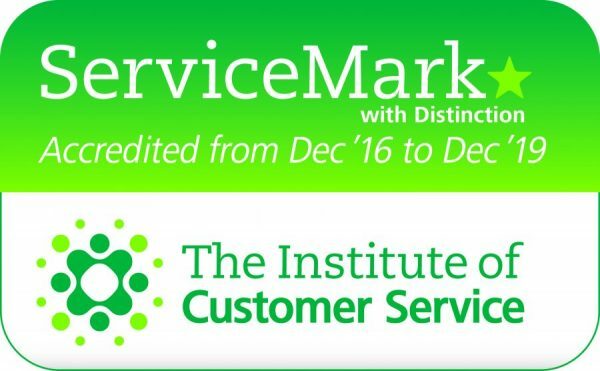 Known as the ICS ServiceMark, the award recognises consistently high levels of customer service. Our customer service standards were measured using feedback from our own people, our customers and an independent assessor. The high scores that we achieved across all three elements meant that we were awarded the highest level ServiceMark with distinction – making Nu-Heat one of only seven companies in the UK to achieve this standard. We would like to thank all of our customers who have provided feedback on our products and services, or who participated in the independent customer survey. 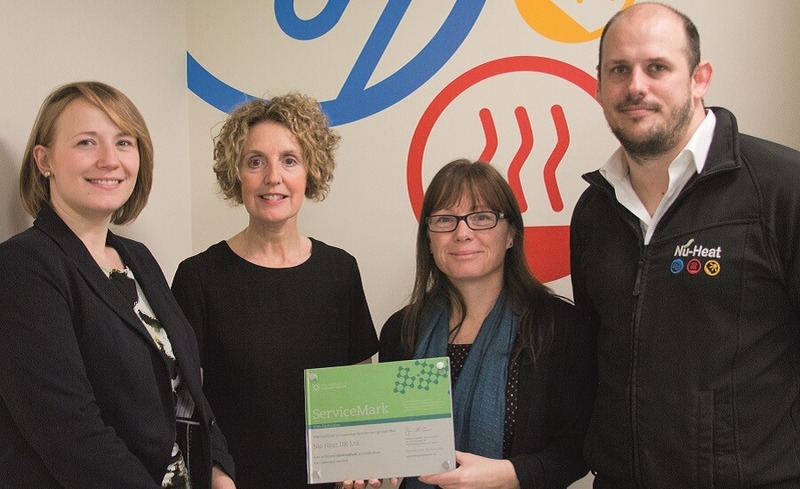 Your feedback has not only contributed towards our ServiceMark accreditation, but – more importantly – it helps us continue to improve our processes in order to provide you with an excellent customer experience.